Spring flowers, eggs [and bonnets] of Easter—it's a colorful season indeed. 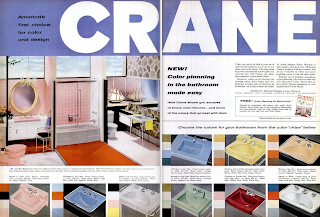 Hence this Flashback Friday post, which gaily displays the chic bathroom palette of 1957. Cornflower blue, daffodil yellow, tulip red: the ceramic sinks of fifty years ago were a veritable bouquet compared to the monochrome preference for white that dominates today's design. 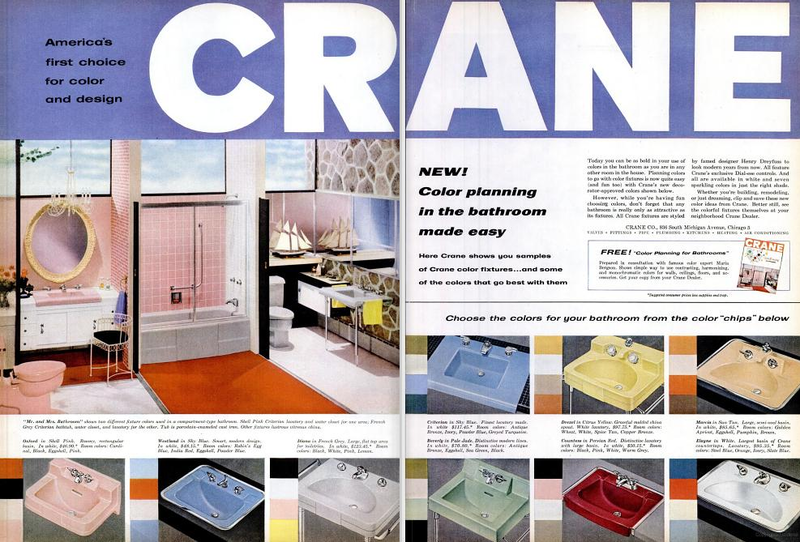 I appreciate how this ad suggests coordinating colors; note the small swatches abutting each basin.